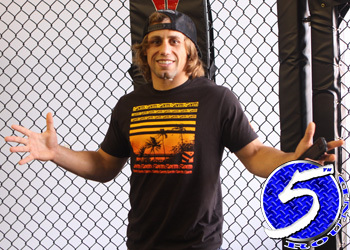 Former WEC featherweight champ Urijah Faber has been wearing multiple hats as he prepares for his UFC 128 scrap against Eddie Windeland. In addition to launching his highly successful Form Athletics clothing company, it appears “The California Kid” also moonlights as an ESL teacher. The latest athlete signed under his label is Chan Sung “The Korean Zombie” Jung, who Faber quickly took under his wing – in more ways than one. Not only did Faber hook him up with some fresh gear to rock inside and outside of the Octagon, he also showed the Korean how to properly pickup chicks in order to add the ultimate arm candy.